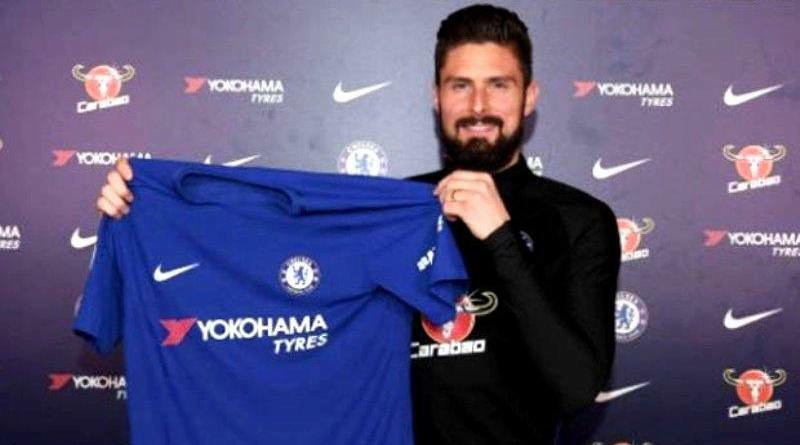 Olivier Giroud is now a Chelsea player. According to the official website of Chelsea football club, Olivier Giroud have joined Chelsea. Olivier Giroud made 253 appearances across all competitions for Arsenal, scoring 105 goals and supplying 41 assists in return. The 31-year-old is considered to be one of the best forwards in France. The France international has been in impressive form for Arsenal this season. His record for France is also impressive. Olivier Giroud has scored 29 goals in 69 matches for France at senior level. According to the official website of Chelsea football club, Giroud arrives with a wealth of experience and a proven pedigree at the highest level having scored goals regularly in the Premier League, in Europe and on the international stage, where he has represented France at three major tournaments. A strong, physical forward, Giroud is lethal in the air and clinical with his feet in and around the penalty area. The 31-year-old will wear the number 18 shirt and has signed an 18-month-contract. Giroud joins compatriots N’Golo Kante and Tiemoue Bakayoko in the Chelsea squad, and he is eligible to play in all three competitions for the Blues. The move was rumored for a week before ever officially happening. At some points it seemed Olivier Giroud would stay at Arsenal, but for the most part it has been evident for some time that he would leave. A move away from Arsenal was not only the best move for Olivier Giroud, but also for the club.